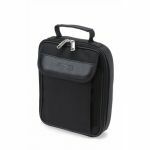 The Iomega Portable Hard Drive Case is a compact stylish black case that includes an elastic band inside to keep your drive in place plus a handy mesh pocket to store your USB cable. 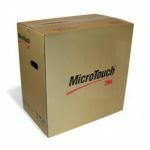 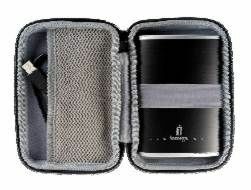 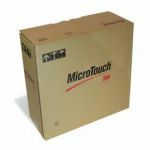 This case includes a zippered closure and fits easily in a backpack, briefcase or suitcase to hold your portable hard drive and cable securely in place. 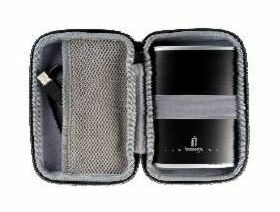 Interior compartment dimensions of 152.4mm x 95.25mm x 25.4mm easily fits popular portable hard drive models including the Iomega eGo Portable Hard Drive.